UC Davis fire crews will get their assignments from a new dispatch center starting Sunday (July 1). Updated 3:30 p.m. July 2: The dispatch switchover went as planned July 1. "Very smooth. We've run a number of calls since the cutover with no issues," Fire Chief Nate Trauernicht reported. 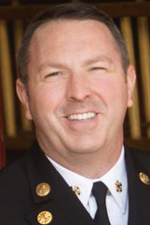 The UC Davis Fire Department this weekend will start using a new dispatch center providing upgraded service to the campus, Chief Nate Trauernicht said. He said there will be no disruption in service when the switchover happens this Sunday (July 1). Established in 1988 as a consolidated 911 “public safety answering point,” the agency serves police, fire, animal control, public works and other government units all over Yolo County, except for city of Davis police and fire, and the UC Davis Police Department. 911 calls from campus land lines go to the UC Davis Police Department. Dispatchers there handle the police calls and transfer the fire and medical calls. 911 calls from cell phones go to the campus Police Department or another dispatch center in the area (depending on which cell towers are relaying the calls). Either way, your fire and medical calls are transferred. Note: Call 911 for emergencies on campus, says the police dispatch center. Use 530-752-1230 only as a backup. What changes on Sunday is where your calls will be transferred. Instead of the city of Davis dispatch center (which the campus Fire Department has been using the last six years), your fire and medical calls will go to the Yolo Emergency Service Agency. Dispatcher at work at Yolo Emergency Communications Agency. “We are excited to bring a new era of high-tech public safety communications to the UC Davis Community,” Trauernicht said. He said the Yolo Emergency Communications Agency uses “emergency medical dispatch,” or EMD, a system by which dispatchers use locally approved EMD guide cards to quickly and accurately determine the nature and priority of each call, dispatch the appropriate response, then instruct callers on how they can help victims. “A comprehensive EMD program can reduce agency liability by providing thorough and consistent dispatch instructions and can help meet the growing public expectation that when citizens call 911, appropriate medical care is administered as quickly as possible,” Trauernicht said. He said callers may notice that not every call will get a “lights-and-sirens” Code 3 response. Instead, using predetermined, statistically driven decision-making, dispatchers will send fewer units in a lower-urgency response mode to less critical calls for service. “Doing this keeps resources available for calls that are more life-threatening, reduces the liability associated with Code 3 response, and limits excessive wear and tear on emergency vehicles,” Trauernicht said. He noted that the Yolo Emergency Communications Agency employs dispatchers who specialize in fire and medical emergencies, providing consistent and reliable service for some of the most complex calls that come into the 911 center. “Before this change, dispatchers had to juggle dispatching and call-taking for police, fire, public works and many other municipal functions,” Trauernicht said. “They have been doing mock dispatches, every dispatcher received a full tour of the campus by Assistant Chief Nate Hartinger, and they have had campus maps for several months that they have been training with. The Yolo Emergency Communications Agency, which also goes by Yolo 911, takes calls for the Yolo County Sheriff’s Department; the West Sacramento, Winters and Woodland police departments; and 18 fire agencies, including Arbuckle in Colusa County and Robbins in Sutter County. The center, located in Woodland, answers about 248,000 calls a year and dispatches help to an average 150,000 law enforcement calls, 25,000 fire calls, and about 10,000 animal control and other service calls annually.